Today in the United States nearly 1,000 infants and children will be injured in auto crashes — some fatally. Research has shown that properly installed car seats can dramatically reduce the risk of serious injury for children in a crash. Do you wonder if your child’s safety seat is correctly installed? Ohio’s law requires all children to ride in a car seat until they are both 4-years-old and weigh at least 40 pounds*; and in a booster seat until they are 8-years-old or 4 feet 9 inches in height. When child seats are used the right way, they are 71 percent effective in reducing the risk of death to children from a crash. However, studies show that four out of five car seats are used or installed incorrectly. * 4 years and 40 pounds are the minimum requirements. Children are safest when they remain in the five-point harness to its maximum weight limit (printed on the side of most car seats). Jackson Township Division of Fire offers car seat safety checks. 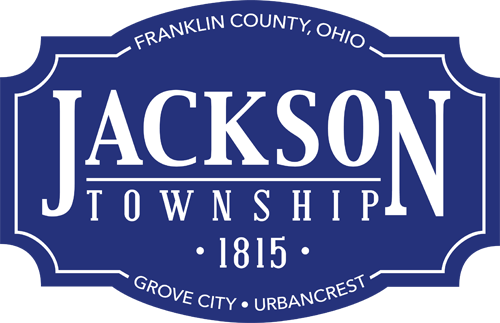 Call (614) 875-5588, or e-mail fire.admin@jacksontwp.org to schedule. You will be advised to bring your child along, if possible, as well as your vehicle and car seat manuals. Jackson Township does not provide car seats. The Columbus Health Department offers low cost convertible car seats and booster seats to families in Franklin County. If you are a resident of Franklin County and need a car seat, please contact the Car Seat Hotline at (614) 645-7748 or health@columbus.gov. This program is designed to provide car seats, at a reduced cost, to families in need. Your children do not wear your clothes (unless they are playing dress-up). Your children do not drive your car (until they reach an appropriate age). Your children do not go to high school (until they finish grade school). Your children do not wear your seat belt (until it fits). When can your kids use a seat belt? Ohio law now requires that children under 8 years old, or who are not yet 4 feet and 9 inches in height, use a belt-positioning booster seat with a lap/ shoulder seat belt. A booster seat raises the child’s seated height which allows the belt system to comfortably and safely rest across their body. Use these six steps to determining if it is OK to move your child out of a child safety seat. Does your child sit with their back against the vehicle seat? If so, does your child’s knee bend comfortably around the vehicle seat edge? Do your child’s feet touch the floor? Does the seat belt rest on the shoulder (not on the face or upper arm)? Does the lap portion of the belt stay low on the hips? Can your child ride comfortably in this position for the whole trip? If you answered “no” to any of these questions, your child needs a booster seat to safely use the seat belt. Placing the shoulder belt behind the back or under the arm, slouching in the seat to touch the floor, and problems with the shoulder belt in the face, are all indications that your child needs a booster seat. Boosters are designed to correctly position your child for proper seat belt fit. Click here for more Child Passenger Safety FAQs.